age he was consistently surrounded by art in all its forms. At the age of seventeen he studied at the Accademia Carrara Bergamo in Italy under Professor Achille Fune for four years. He came to live in South Africa in 1948 under the most difficult circumstances possible at that time. His father Gino was an Italian prisoner of war held in South Africa. 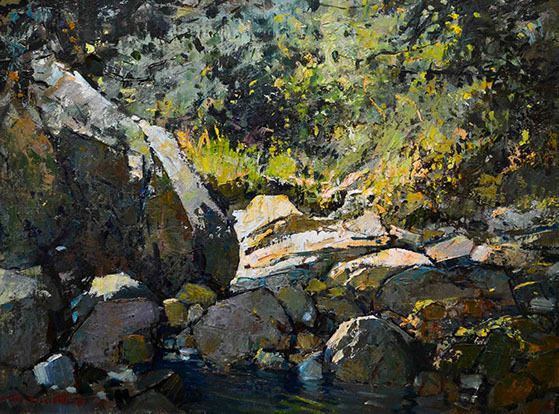 In South Africa he then studied under the well known artist, W.G Wiles between 1952 and 1955. He was a painter of landscapes, still life, seascapes and figure studies. His use of colour was often rich and arresting and he contrasted dark shadows with brilliance of light . He worked in a series of mediums such as Oil, Acrylic, watercolour, ink, wash, pencil and charcoal. 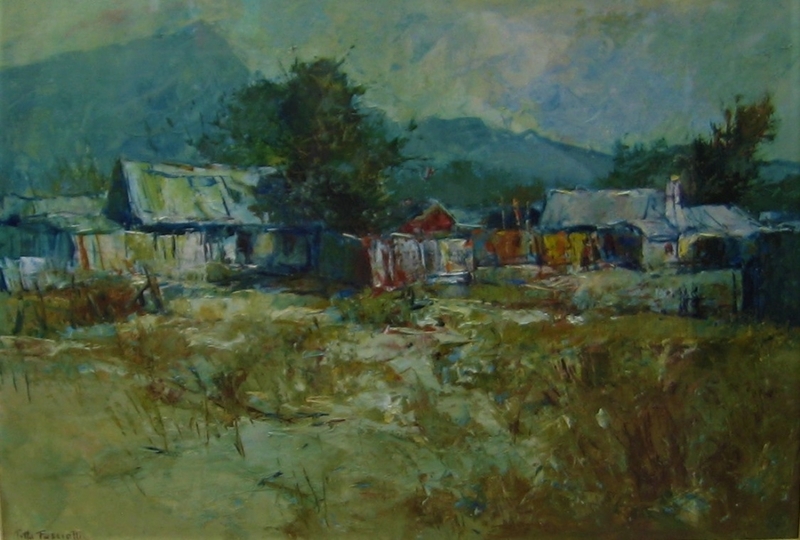 Most of his scenes were derived from life in the rural and Cape, he also painted the Karoo and other African tribal scenes. 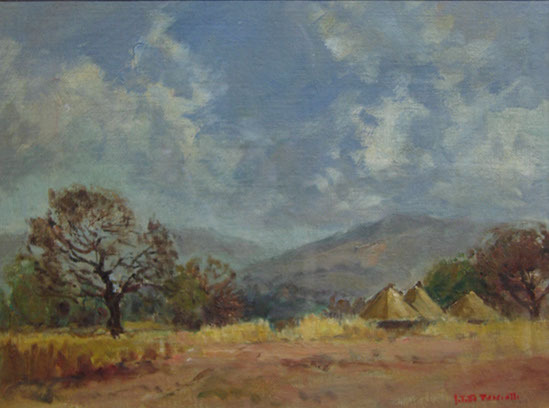 In his Karoo landscapes you can see how he managed to capture the peace and quiet countryside skilfully. He saw it as his duty to bring pleasure through his works and he wanted to light a little candle in the heart with his paintings. His works can be found in private and public collections both locally and internationally.